This Friday, August 14th head to Small's in Hamtrack for Vitamins Part 1. This new series of events is being put on by Lianna and Alex from Valley Hush. It is an evening, "showcasing an essential collection of Detroit music and visual artists". Over at Hip In Detroit we know that Detroit has a ton of amazing musicians and artists, so this is an idea we can get behind and we don't think they will be running out of people to fill the bills with anytime soon. For Vitamins Pt. 1 they are bringing out a great list of musical acts and artists. 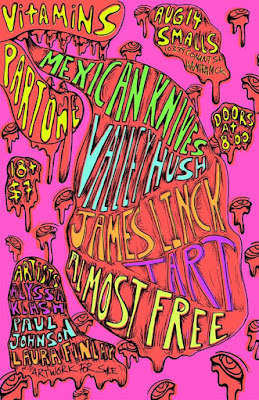 The lineup includes Mexican Knives, Valley Hush, James Linck, Tart and almost free. The artists for the evening are Alyssa Klash, Paul Johnson and Laura Finlay. All of these artists will have art on display and prints available to purchase. Doors for Friday's event open at 8 p.m. and admission is only $7. 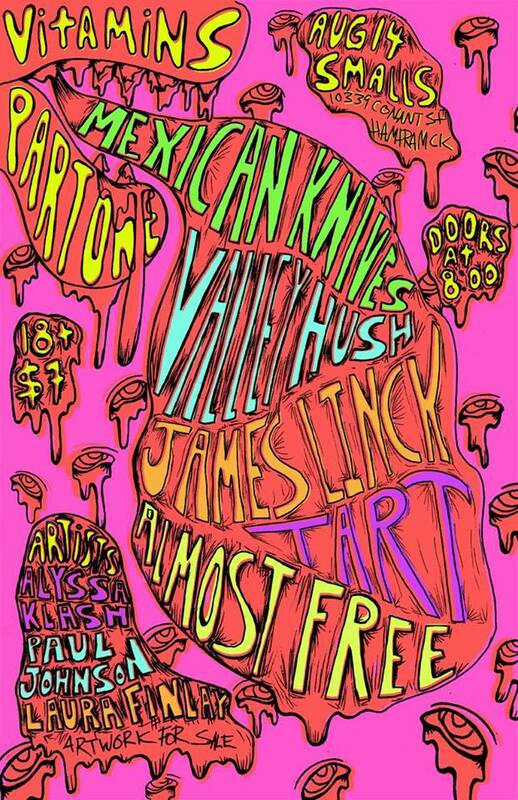 Seven bucks for 5 great acts and an art show, that's a pretty amazing deal! 18+ are welcome to attend. Small's is located at 10339 Conant in Hamtramck. For more information on this event, click here.